This is similar to the Active House concept to which I am 100% subscribed. Far more interesting than Passivhaus! 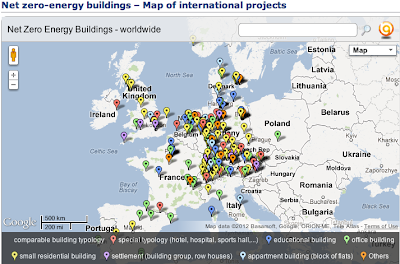 .... and there is a link to the EnOB website, which has a world map of the Energy Optimized Buildings on their database. I shall have to see if these worthy organisations can add the house to their list of Net zero buildings. I have plans to take it further, with the addition of further PV panels and further solar thermal panels on the new extension.